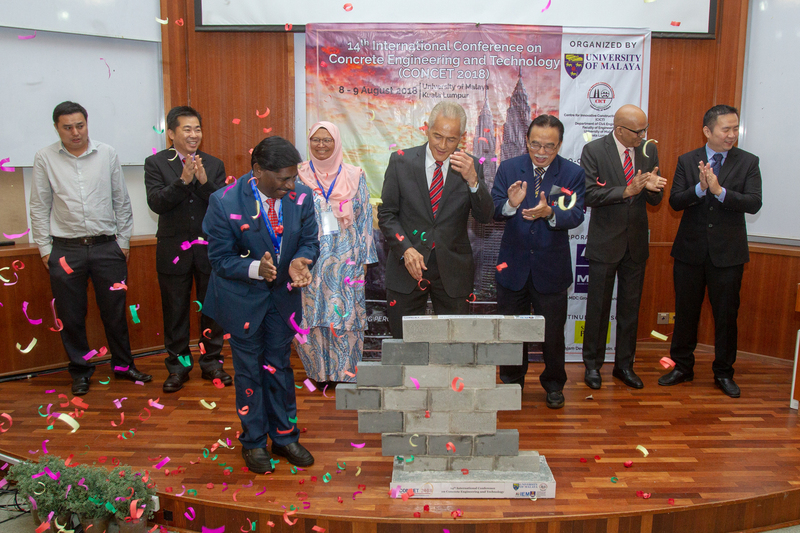 Department of Civil Engineering, Faculty of Engineering, University of Malaya (UM) in collaboration with Institution of Engineers Malaysia (IEM) and Universiti Teknologi MARA (UiTM) has organised the 14th International Conference on Concrete Engineering and Technology (CONCET 2018) from 7 to 10 August 2018. The event was officiated by the Vice-Chancellor of UM, Datuk Ir. (Dr.) Abdul Rahim Hj. Hashim on 8 August 2018 at the Lecture Hall 3, Faculty of Economics and Administration, UM. 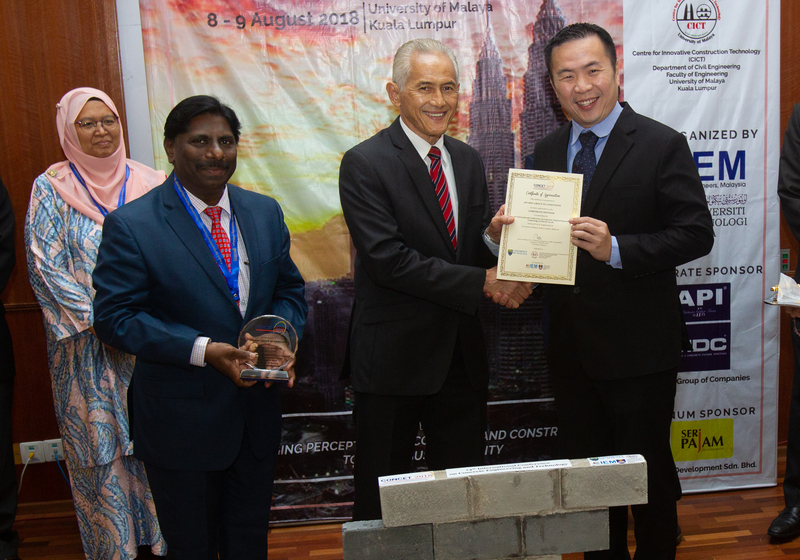 The biennial conference aimed to provide fresh perspective on latest developments in concrete engineering and technology towards sustainability. It also provided a forum to discuss related researches, methodologies, directions and other important issues of concrete engineering and technology. 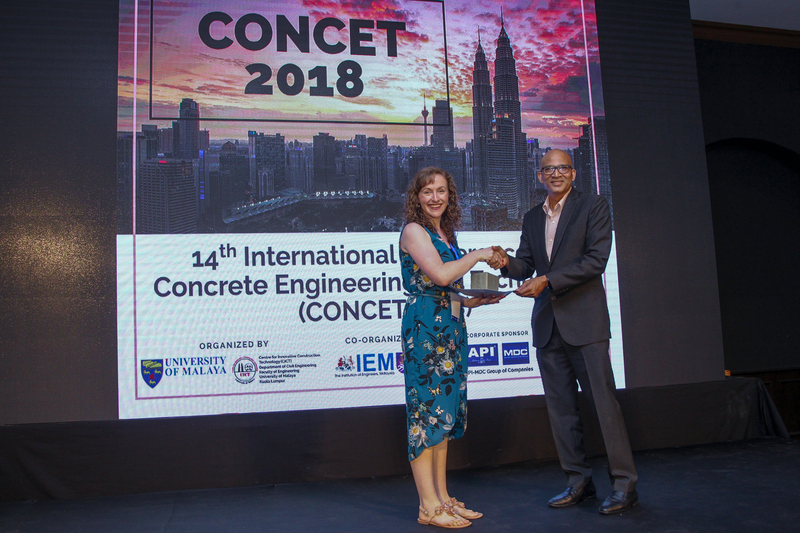 With ‘Changing Perceptions of Concrete and Construction towards Sustainability’ as its theme, CONCET2018 brought together more than 130 researchers, engineers and practitioners from 20 different countries, including China, India, UK, Italy and the Republic of Korea. Five experts - Mr. Owen Brooker, a Chartered Engineer and a member of both the Institution of Civil Engineers (ICE) and Institution of Structural Engineers (IStructE); Professor Dr. Marios Soutsos from Queen’s University of Belfast, United Kingdom; Professor Dr. Caijun from Hunan University, China; Mr. Philippe Vancapernolle from VINCI Construction; and Encik Ir. Kamaluddin Abdul Rashid from the Public Works Department (JKR) Malaysia; delivered the keynote address at the conference.